Flowers make the perfect complement to any event. 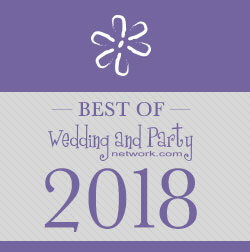 Whether it be a wedding, anniversary or special event, they can truly set the mood and theme. They truly represent that special occasion. Flowers can influence your wedding and event through the style and colors of them. You want them truly special. So, if you're in the Sea Girt, New Jersey area, Waterbrook Florist is the right place for you. 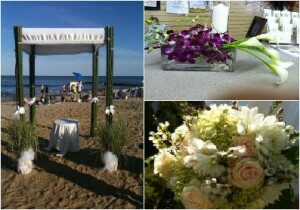 This full service florist is ready to serve you in all your needs, especially your wedding. They want your wedding absolutely flawless. Providing a truly unique service for the bride, called a "mock wedding", makes sure they understand and meet all of your visions. First, you will tell them everything that you look for in your wedding flowers. From the color to style, they want to know it all. Next, you will make a visit before your wedding to see your "mock wedding". This is the time where you will be able to see your wedding flowers, design and accessories that will actually be used for your wedding. This way, they can make sure that your wedding day is perfection. A truly unique service that ensures you have your fairy tale wedding. Along with making sure everything goes smoothly, Waterbrook Florist provides a creative eye for your floral design. They have a creative, trendy and out-of-the-box design vision that you'll find nowhere else. If you're more of a traditional bride, they can create for you too! Everything from your wedding bouquet, bridesmaid bouquets, boutonnieres, corsages and reception centerpieces will look like you! When someone walks into your wedding ceremony location, they will truly understand that this wedding is for you just from the flowers. All thanks to this amazing florist! Not only do they do absolutely amazing job designing wedding flowers, they do more! Whether you are wanting to send flowers or have them create a unique centerpiece for your event, they will go above and beyond all your expectations. Gorgeous pink roses with unique tea leaves makes for a stunning centerpiece for a special event. If you want to send roses to a special someone, let them send a gorgeous vase filled with beautiful hydrangeas. Everything will be spectacular, not one little detail will go unnoticed. Make Waterbrook Florist your go to florist for all your needs. You'll be absolutely blown away each time. All the little details will not go unnoticed and you will have a floral arrangement or wedding bouquet that was made just for you! Always designing with you in mind, you will have everything you've always wanted and more.